We are proud to present a new version of our website. It is intended to serve the role of an interactive communications platform. We have divided the implementation of new features and extras into stages, which will result in the creation of a comprehensive system showing information such as product availability or the predicted delivery date. The project is based on homogenous visual identification of our catalogue and the website, which will enable us to present products to larger audiences thanks to the discrete support of digital contents. We will gradually add new functions, such as product search and configuration, a communications panel or online support in the form of a live chat with our office. The schedule of adding the new functionalities largely depends on the pace of implementing the ERP software, which is intended to streamline production scheduling, automate the circulation of documents and communication within the company. Each update will bring new functions, which will be added gradually after the end of the testing period. 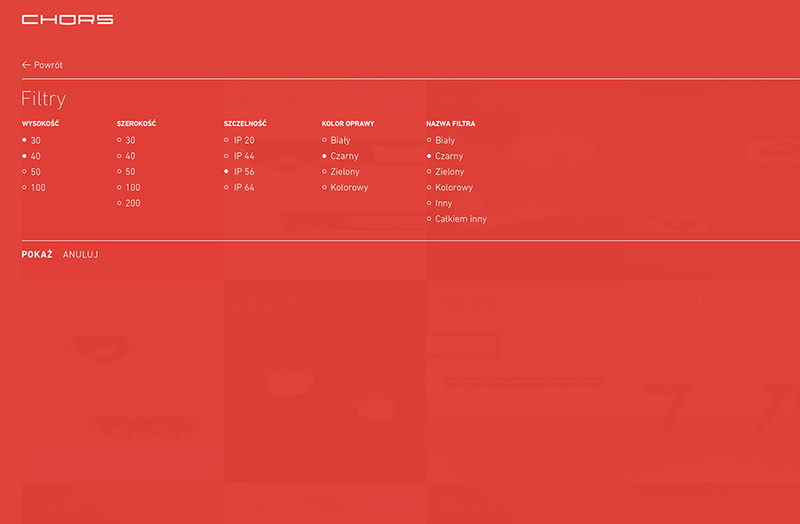 We are looking forward to the @products section in particular. 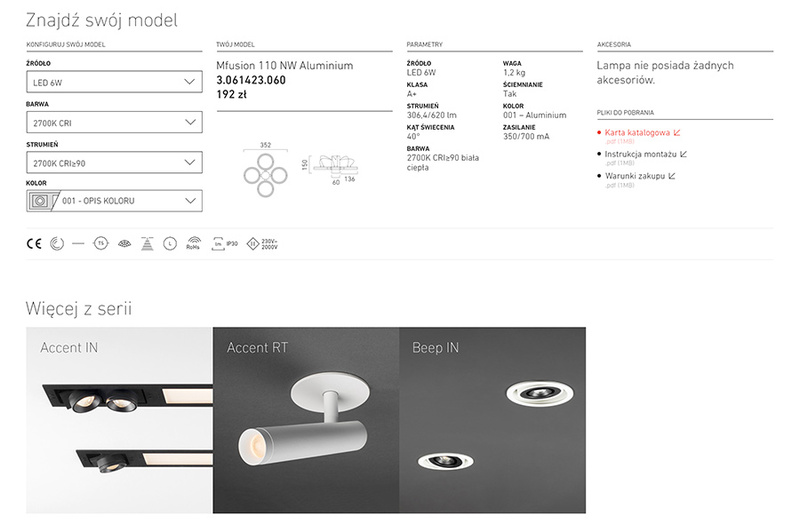 Apart from presenting all the product details in an attractive form, it will offer a clear and simple way to configure the optimal version of a lamp, learn about its price and download the necessary files, such as the product specification sheet, 3D models, photometric models or the assembly instruction.